Most users people will never even know their browser hides a great set of tools, mostly used by web developers, but which can be useful for anyone trying to figure out why their browser seems to be trolling them. To view elements of the page (DOM/CSS), either right-click and select "Inspect" or press Command+Option+C (Mac) or Control+Shift+C (Windows, Linux, Chrome OS). 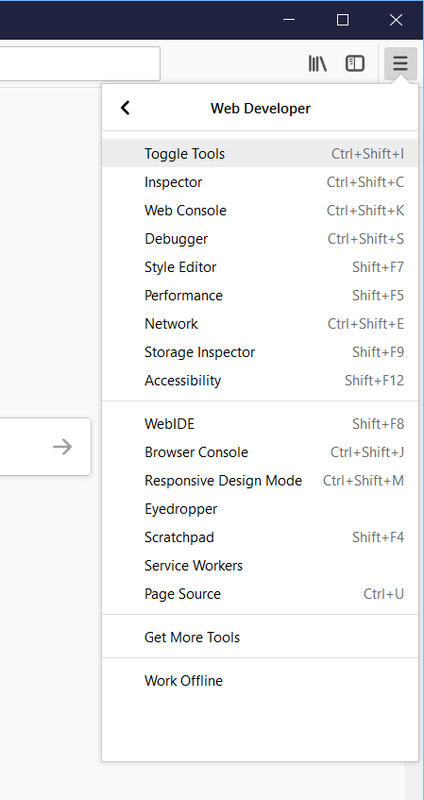 Select "Web Console" from the Web Developer submenu in the Firefox menu (or Tools menu if you display the menu bar or are on Mac). Or press Ctrl+Shift+K or Ctrl+Shift+C or Ctrl+Shift+I (Windows). The shortcuts seem to be the same as Chrome, at least by default. If you're not using Brave yet, do. This is my preferred browser now that they have all of the annoying kinks worked out... it's more secure by default and they have this novel idea for rewarding good content. The shortcuts seem to be the same as Chrome and Opera. Or right-click and choose "View source" or "Inspect element". Press F12 or Control+Shift+J or Control+Shift+I. Or right-click and choose "View source" or "Inspect element" (possibly only after opening the DevTools at least once). That link is a pretty basic (nearly useless) overview - there's more detail in the Safari Developer Help docs. I don't have a Mac or Safari, so the best I could do to test this was download Safari 5 for Windows from 2012. 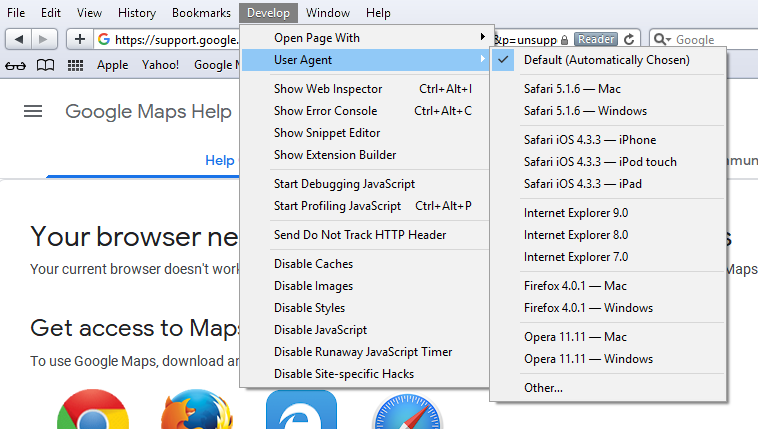 Select Show Web Inspector Option-Command-I in the Develop Menu. Or control-click anywhere in the Safari tab and choose "Inspect Element" from the menu. You can also add a Web Inspector button to your toolbar by customizing your Safari Window.